As a result of rising CAFE standards and the consumer demand caused by rising fuel prices over the last decade, more car manufacturers are paying attention to fuel economy, as significant selling point. 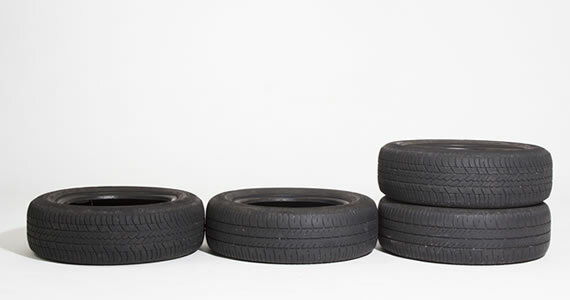 In coordination with tire manufacturers, they have developed tires with lower rolling resistance, as the direct answer to the present situation in the market. Although they made their grand entry on hybrid cars, where they stood as yet another in the long line of energy-saving technologies, LRR tires are facing an increased demand among the mainstream drivers. 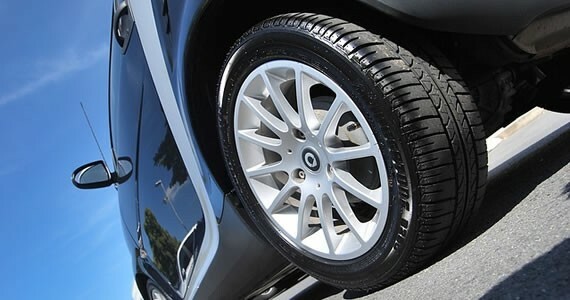 Rolling resistance is the force which is required to maintain your tires rolling at given speed. As tires change shape as there rotate, the part of the tire in contact with the road is deformed before it returns to the original state. Underinflated tires, for example have high rolling resistance. Overinflating them would minimize their rolling resistance but at the expense of ride quality and safety, as it becomes bumpier as the tire pressure grows. And higher the pressure, smaller the contact surface, which implies less traction and reduced controllability. Manufacturers claim that lower rolling resistance technology maximizes the fuel economy using different methods. So, while experts agree that it is internal friction that offers significant room for improvement, the tread compound can also be redesigned in order to reduce rolling resistance. However, reducing the contact surfaces between the tires and the road readily involves trade-offs in grip during braking and cornering. The big question is whether you prefer performance and safety or fuel economy. Besides reducing the contact surfaces between tires and the road, manufacturers have developed a number of other techniques. One of important variables is a tire composition. By adding silica to the standard compound of natural and synthetic rubbers, rolling resistance can be decreased without sacrificing traction and the good grip in the critical stages of driving. There are practically endless choices of tires, for example tires with reduced depth of tread blocks are going to be more economical, as deeper treads involve more flexing as they roll. It’s little known that most of the fuel energy is actually spent to overcome inertia when accelerating and decelerating and aerodynamic drag. The tires’ rolling resistance makes up to 4% of the fuel consumption in town and about 7% on the highway. It was established that a 10% decrease in rolling resistance results in 1-2% in fuel economy. It doesn’t seem much, but it can add up if you calculate how much you drive a year. It’s really hard to tell if LRR tires cost more than others. It depends on the tread compounds and the tire structure, and more importantly whether you are pointing at the initial price tag or the overall cost of ownership. While it’s true that their fuel saving properties are increased, low rolling resistance tires have less tread life, which than can neutralize the energy savings. Eventually, is there any way to decrease your car’s rolling resistance without investing in low rolling resistance tires. Some experienced drivers will tell you that the most important thing about all tires is to make sure they are properly inflated according to the car manufacturer’s recommendation. In theory, you could leave your snow tires on all-year round, but don’t be surprised when all they’re good for after your summer road trip is a backyard tire swing. Snow tires are constructed from softer materials than your regular or all-season models, meaning they’ll wear out more quickly. This fact will become more evident as you notice the visible signs of wear after traveling along sun-scorched, asphalt highways for three months. Do your pocket book a favor and save your snow tires for the winter. A tire’s tread degrades more quickly when exposed to the heat, making for an unsafe situation. Instead of wasting your time and money by having the tread examined by a professional, use a tool found at the bottom of your purse or between the couch cushions: a Lincoln penny. Place a penny, Lincoln’s head down, into several of the tire’s tread grooves. If any part of Lincoln’s head is covered, you’re tires are street legal. If you can see the top of Lincoln’s head, it’s time to have the tire replaced. Before you begin to perform this ritual, stop and realize that chances are you’re performing this deceptively simple task incorrectly. First off, your tire’s recommended inflation pressure is found inside the owner’s manual, not printed on the tire’s side. Also, it’s best to check the pressure with a gauge first thing in the morning when the tires are cold, which allows you achieve a more accurate reading. Keeping your tires properly inflated not only increases fuel efficiency, it can actually prevent catastrophic tire failure. If you don’t own a proper tire gauge, check out the specials available for these, and all of your others car needs, at www.partsgeek.com. A properly maintained spare tire can mean the difference between getting you to a nearby town or service center, and remaining stranded on the side of a hot, busy highway for several hours. Before heading out on the yearly summer road trip, pull out the spare and perform a visual inspection. If the tread is acceptable, and there are no visible signs of wear or damage, finish your quick once-over by checking the spare’s tire pressure. Last, and by my no means least, it’s crucial to have your tires rotated at a service center at least every 5,000 to 7,000 miles, or according to the manufacturer’s recommendation. If you’re handy, and have the proper tools, don’t hesitate to rotate the tires yourself, but realize that there’s more to this procedures than simply switching your back tires with the front. Tires are manufactured with either directional or non-directional tread. If your tire’s tread follows a one-directional pattern, you have directional tires. Rotate your directional tires by switching the front driver’s side tire with the back, and the passenger front with the back. If you have non-directional tires, rotate the left rear and right front and the right rear with the left front. This may seem confusing, but you’ll thank yourself when you save a few bucks, and your tires last for several miles longer. One universal mistake made by summer road travelers is over packing, which is not only a gigantic waste of time, but all of this unnecessary weight is also detrimental to your tires. To ensure your tires remain viable from point A to point B, pack sparingly and leave room for all the souvenirs you’ll accumulate along your travels. If you notice certain spots on your tires are wearing faster than others, it’s crucial to take your vehicle to a mechanic immediately, or at least before you hit the road. These uneven wear patterns are a signal of larger problems, including improper alignment or even worn shock absorbers. Charles Corbin is an automotive mechanics instructor and retired mechanic. In his free time he works on his classic cars and is currently writing a book on the Chevelle.